The Lollipop Theater Network has teamed up with leading online auction venue Charity Folks to offer incredible entertainment experiences and memorabilia in support of the organization’s mission to bring movie magic to hospitalized children. 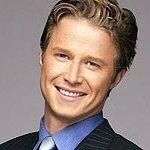 Meet Billy Bush and Kit Hoover on the Set of Access Hollywood! 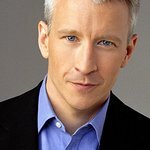 Check out “Watch What Happens Live” with Andy Cohen! Tickets to Saturday Night Live! For the collectors out there, the auction is a must, featuring signed priceless memorabilia from celebrities including: Tom Cruise, Taylor Lautner, Seth Rogen, Emma Thompson, the cast of Desperate Housewives and more! Visit www.charityfolks.com/lollipop to place your bid today and support the Lollipop Theater Network’s mission to bring the magic of movies to children confined to hospitals nationwide due to chronic or life-threatening illnesses. Bidding ends November 15, 2012 at 4pm EST.